Hi friends! We are one step closer to finishing this room redo! That looks just smurfy Papa smurf! 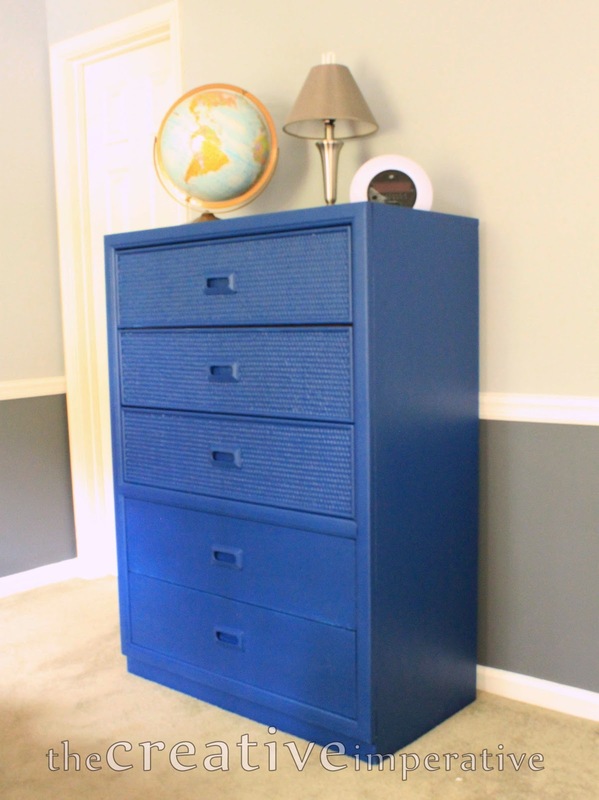 I actually love the blue; it's just a big honkin' dresser so I felt like all that blue needed to be broken up a little. Enter IKEA magnetic board. I put a magnetic board on each side of the dresser. And the best part? I get to move all these off of here! As much as I thought I wanted a "clean" fridge it's depressing me. 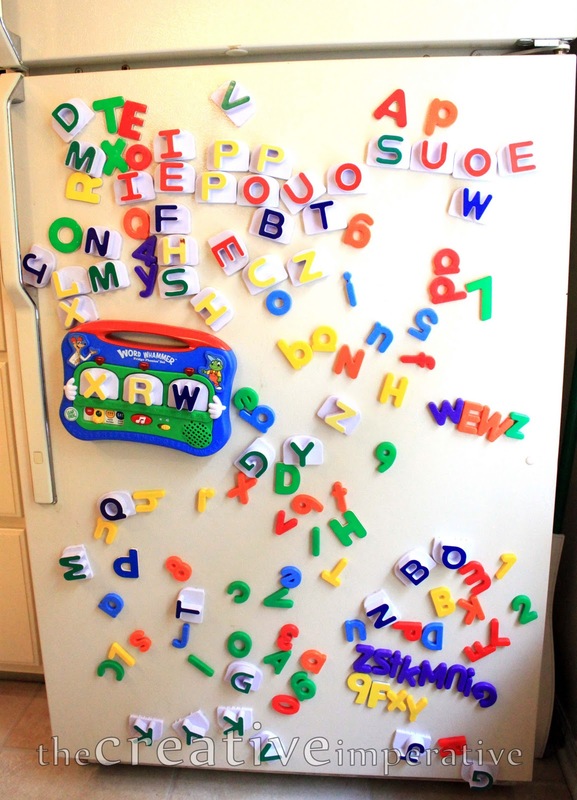 It's making me think of a day when I will miss having the filthy little hands moving filthy little letters around on a refrigerator. 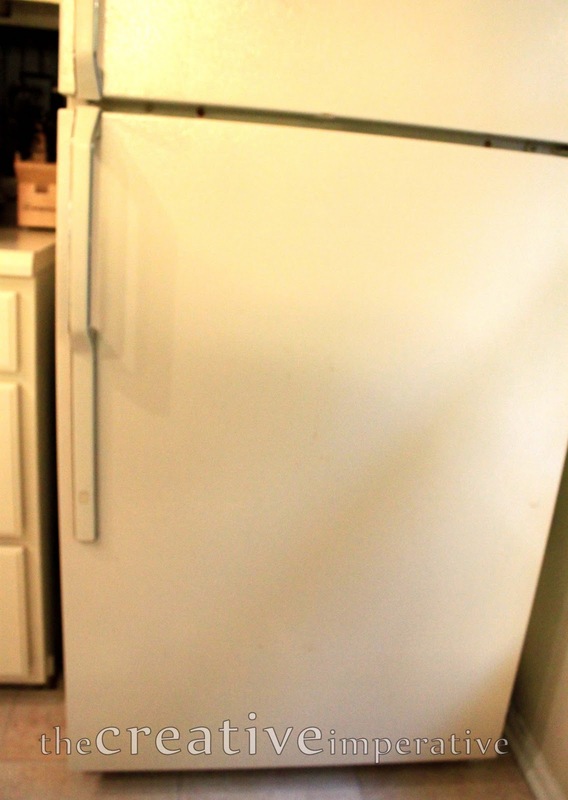 Not to mention, you don't notice what a sad, sorry fridge it is with all the letters on it. So I put some back on the fridge and moved the rest to the other magnetic board. 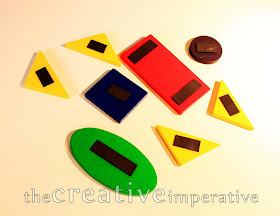 I had all these shapes from an old Melissa and Doug toy. 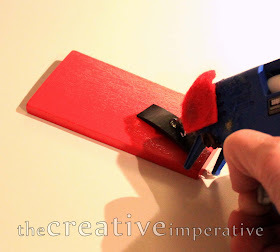 A little hot glue and some magnets will do the trick! I considered just painting Big Blue in magnetic paint but I didn't want to have to have to wait for all those coats to dry. I figured we could reuse and repurpose these boards for many years to come. 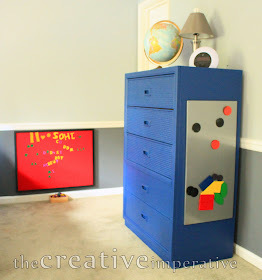 The magnetic paint can be pretty stinky too and I wanted to get the dresser back in our son's room ASAP! I know, I know, I need a bigger lamp! I'll get around to it one day. Let me know what you think in the comments. Thanks so much for stopping by! "you're my boy blue!" love big blue and the magnetic board is awesome! I know Josh is loving it! What a great idea so creative! Oh thank you Jamie, I see you stopped by thanks for the visit and the compliment. I think that's a TERRIFIC idea! 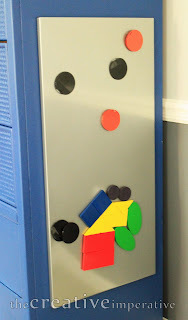 I always see those magnet boards and can't think of any place to put them! This would work great! What an idea. Anything to rid my fridge of some clutter. That is a wonderful Idea. Even as a grandmother I have the letter magnets on my refrigerator! I would love to try this in the spare room that my grandchildren play in. brilliant idea!! 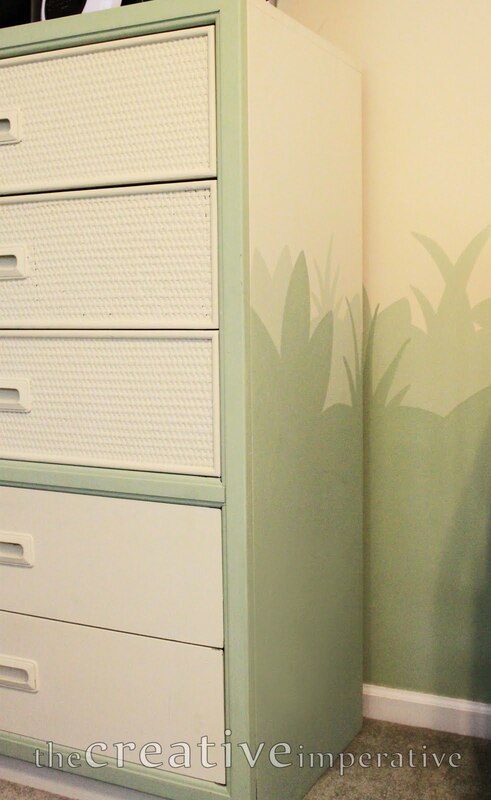 I need to try this in my daughter's room! Awe-SOME! Very creative and will inspire creativity in the kids. That's a great idea! By the way, when I took all the magnetic 4x6 photo frames with family photos in them off the refrigerator, it was white again, but my son-in-law was sad that all those great family photos were gone. So I put them back. :-) Anyway, my refrigerator is my family photo album. Love the blue of that dresser! But, I love what you have done here - and good call about the magnetic paint. Unless it has improved over the last year it never worked well for me. 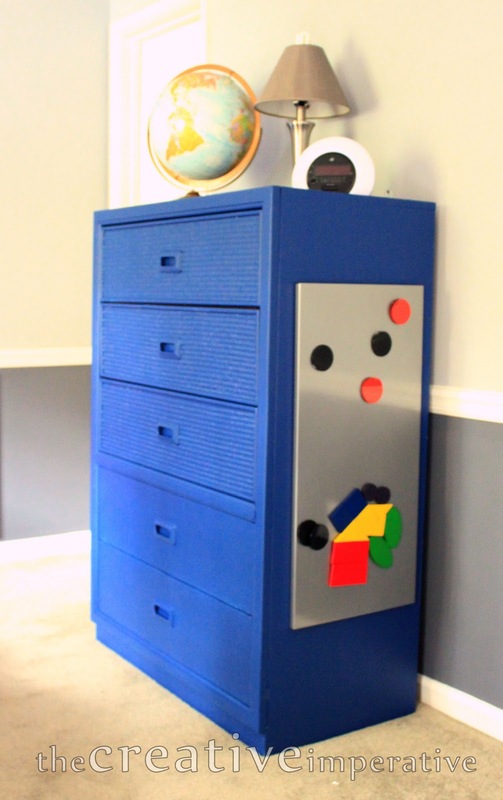 My son would love that dresser, especially with the magnetic board. He's older, but loves to be able to pin up awards and such from school. 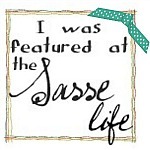 I'd love it if you would consider sharing this project on my Thingamajig Thursday Party. How creative is this! I absolutely love the blue dresser, by the way. And the magnetic board is genius! I have got to do something similar. Such a great space saver! 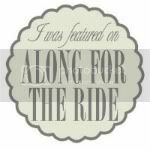 So happy to have you share this @ Show & Share! Thank you! How great! I know he must love this. Thanks for linking to Things I've Done Thursday. I like it. 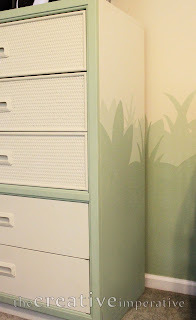 It is a bug pop of color and I think it fits a child's room. When I start a project I am impatient too. I looks really nice. Good job! I can't wait to see what you have in store this week! How did you attach the magnetic board to the dresser?